Cervical Cancer Vaccine Creator Supports NCD HPV Pilot Vaccination Program. 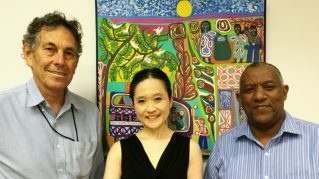 On a recent visit to Cancer Council Queensland, the Papua New Guinea Cancer Foundation CEO Dadi Toka Jr and Programs Manager Priscillar Napoleon had the honor of meeting the 2006 Australian of the Year, Australian Immunologist and Creator of the Cervical Cancer vaccine also known as the Human PapilomaVirus (HPV) Vaccine, Professor Ian Fraser AC. Professor Ian was very pleased to hear that the NCD pilot was finally being implemented. 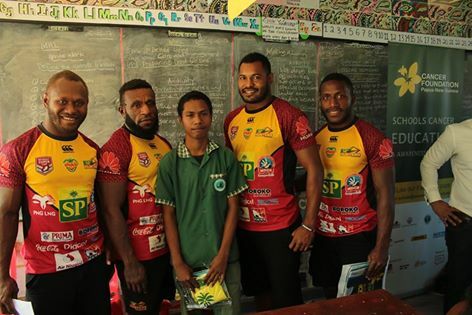 He expressed his support and assistance if required by PNG. The HPV Vaccination program in NCD, which began at the beginning of this month has so far administered the first dose of cervical cancer vaccine to over 8,000 girls with the second dose scheduled for 6months time. 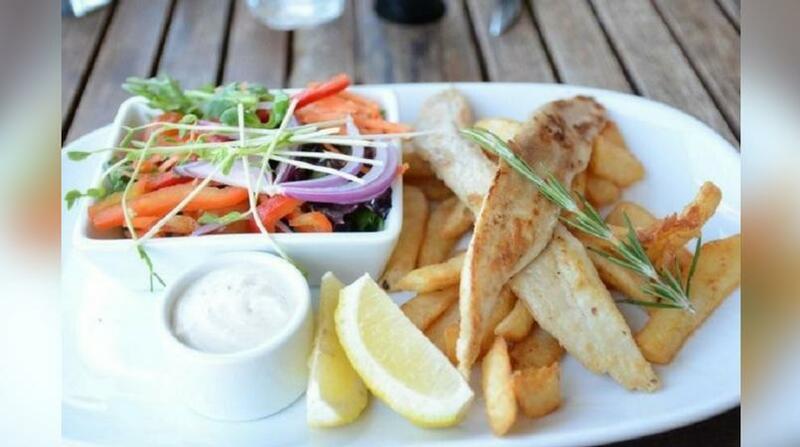 Most people say that if there is a healthy choice on a menu they will take it. But observations and research show this is generally not the case. Instead, people tend to make choices based on how food tastes. Typically, the more sugar, salt and fat in the food, the more we will like it. Genetics, experience and environment also influence our perception of food and the consumption choices we make. Australians are still not eating as healthily as they should, despite years of programs and publicity warning of the health impacts of poor diets. But what if we could make healthier foods taste better and thus improve eating patterns? To examine questions of food taste, flavour and digestion under controlled conditions, we have developed a computational model of food mastication (chewing) and digestion. We have also developed a kit to map genes that predict flavour preferences, and are measuring how proteins in saliva affect food flavour. How a person chews their food, mixes it with saliva and squeezes it with their tongue has a large impact on how it tastes. But eating is a complex process and is different for every person, and until recently was very difficult to measure and monitor. Our model can simulate eating behaviour based on data from real people eating different foods. It shows how food products break down in the mouth and how components such as sugar and salt are transported to our taste receptors. We are also modelling how food gets broken down in the stomach and what happens to it as it moves through the digestive tract. This will help in the future development of food matched to an individual's physiology, which can deliver nutrients at the ideal location and control the rate of digestion. It's now clear that variation in genes influences whether people will like certain foods, and how much they will eat. For example, the presence or absence of a particular form of a gene involved in smell determines whether an individual is sensitive to androstenone, a molecule that generates the unpleasant flavour found in pork from male pigs. Individuals with a variant of this particular gene can detect androstenone by sniffing pork. Androstenone sensitivity is reported to be much higher in Asian populations than in those of European descent. Other genes are involved in determining preference or avoidance of bitter flavours. For example, a compound known as PROP (6-n-propylthiouracil) is commonly found in green vegetables such as broccoli, and contributes to creating a bitter taste. People who have the gene for a bitter receptor known as TAS2R38 are able to taste the compound, either mildly or very strongly. Those without the gene for this receptor are unable to taste it. This explains why some people like their greens more than others. The CSIRO is developing a genetic kit with the goal of predicting whether or not individuals will like particular foods. Working with people in their own homes, we have tested and validated a "PROP kit" for detecting and rating bitterness intensity in food. Our preliminary analysis of DNA collected from test subjects' saliva and cheek cells showed that those who could taste bitterness had the TAS2R38 bitter receptor, and those that could not taste bitterness did not have this receptor. The test also allowed us to predict which consumers were bitter tasters and which were non-tasters. This sort of kit gives us an idea of why some people like their greens more than others. The kit will be further tested and validated in a much larger cohort of Australians of both Asian and European descent. Saliva is vital in helping us eat food safely, and it lubricates and transports taste molecules from food to our taste buds. Saliva contains an enzyme called amylase, which breaks down starch into sugars. If you've ever noticed that some children keep bread in their mouth for a long time, it's because as the amylase in their saliva acts on the starch, more sugar is produced and the bread tastes sweeter. There are other enzymes in saliva that act on fat and protein, and control how we perceive food. The composition of saliva in each person is different. It changes throughout the day, and is influenced by what you eat, what exercise you have done, your mood, and even whether it is light or dark outside. Proteomics (the study of proteins and their function) is an approach that can measure differences in the protein composition of different people's saliva. The types and level of proteins and enzymes present in saliva vary from person to person, and this changes the way flavour is released from food in our mouth. The bacteria that live in our mouths, part of our microbiome, also have an influence. For example, bacteria change the flavours of food by increasing the production of molecules that create particular taste experiences. The types of bacteria that are present create a unique response in each individual. Research into individual food preferences — whether they be as a result of our genetics, saliva or the way we chew — may one day guide food manufacturers to produce healthier options of our everyday foods. Hopefully this may contribute to consumers making better menu selections and decrease the number of food-related diseases currently affecting Australians. Want to be killed by tobacco? 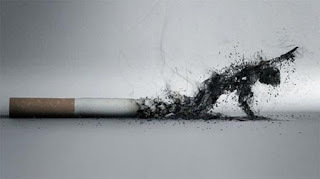 ​Do you want to be among the 7 million killed by tobacco yearly? Take a moment today on World No Tobacco Day to reflect on health problems that tobacco use can cause. Tobacco use is still one of main factors behind the global non-communicable disease crises. Highlighted in the Tobacco Free Pacific 2025, tobacco use is the major cause of preventable premature death in many Pacific islands. The tobacco use prevalence and prevalence of exposure to second-hand smoke in the Pacific are very high. For example, over 70% of men in one Pacific island smoke, while in another, close to 55% of women smoke. Nonsmokers are also burdened. As much as 76% of young people are exposed to second-hand smoke inside the home and 86% outside the home in the Pacific. Each Pacific Islands have taken action to cut down on the statistics. Papua New Guinea passed its Tobacco Control Act 2016 last year; a law to see much greater tobacco product control in the country. World No Tobacco Day, recognised by the World Health Organisation and United Nations, is observed yearly to raise awareness on health problems that tobacco use can cause. Poor menstrual health (MH) poses similar challenges as adolescent pregnancy does to girls’ health and education. Despite it being a foundation to human life, menstruation is still shrouded in stigma and taboo in many societies – because of poor knowledge. This limits girls’ ability to manage menstruation in hygienic and dignified ways, resulting in poor health and school absenteeism. But this is about to take a turn. A global movement has started with the aim to change the approach. A paper published last week titled “Prioritising periods and preventing unwanted pregnancy: addressing menstrual and reproductive health in Timor-Leste and Papua New Guinea” is one looking into this area. The paper also notes separate approaches on pregnancy (sexual and reproductive health) and menstrual health. In an innovative new partnership supported by the Australian Government through the Gender Action Platform, Marie Stopes International Australia (MSIA) and WaterAid Australia aim to tackle these two areas simultaneously, recognising that both reproductive and menstrual health are critical to girls’ ability to be healthy, educated and empowered. 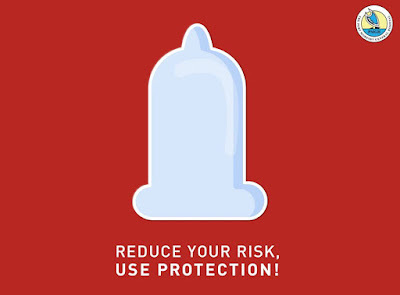 Sexual and reproductive health services (including family planning) and menstrual health education will be provided to adolescent girls and boys, as well as adult community members, in rural and urban Timor-Leste and PNG. 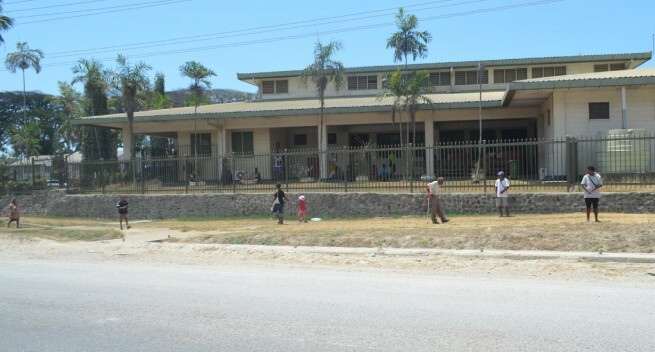 Papua New Guinea now has a current Pathology Laboratory in Port Moresby. This pathology laboratory is the first of its kind for PNG, opened for the public in the nation’s capital last year. Located at the Taurama Foodland area, this state-of-the-art and medically equipped laboratory received its accredited Australian-standard certificates which now allows for its full operation. Director Martin Poh said Papua New Guineans no longer need to travel overseas as the service is now available in the country. 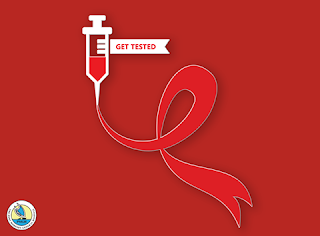 The lab is crucial for the public and will greatly assist every Papua New Guinean especially at a cheap price of K280 to do these medical tests and know their health status. 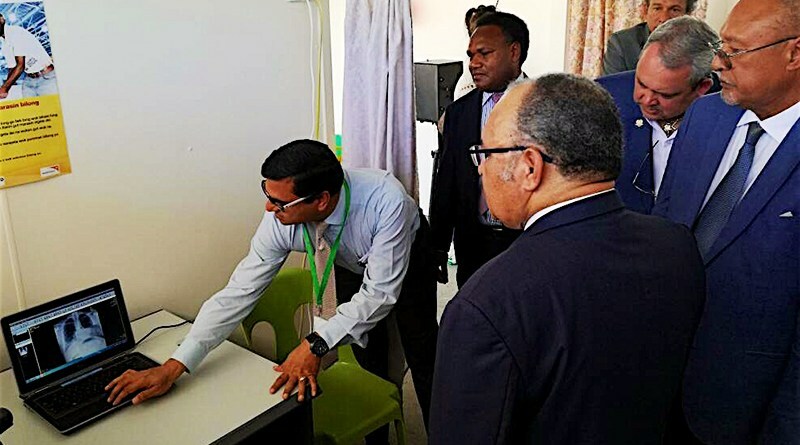 The Port Moresby General Hospital (POMGH) today launched the first Magnetic Resonance Imaging (MRI) Scanner in the public health system of Papua New Guinea. The K4.5 million project was funded by the National Fisheries Authority. The GE 1.5 Tesla MRI scanner is one of the most advanced MRI scanners in its class in the world. A MRI scanner does not use radiation unlike a computed tomography (CT) scanner and is most suitable for the brain, spine, bones, joints and muscles. Whereas a CT scanner is more suitable for the chest, heart, lymph nodes and blood vessels. One important use of the MRI is in cancer patients where precise visualization of the cancer inside the body can help doctors in surgical planning or prevent an unnecessary surgery in cancer patients. Chief Radiologist Dr Dora Lentrut Katal said the MRI scan is a Government subsidised service and will be free to the public up until April. Dr Katal said the POMGH Board will decide on the usage fee which is expected to be less than K500. POMGH chief executive officer and vascular surgeon Dr Umesh Gupta said they’re well on this much needed path of modernisation at POMGN. 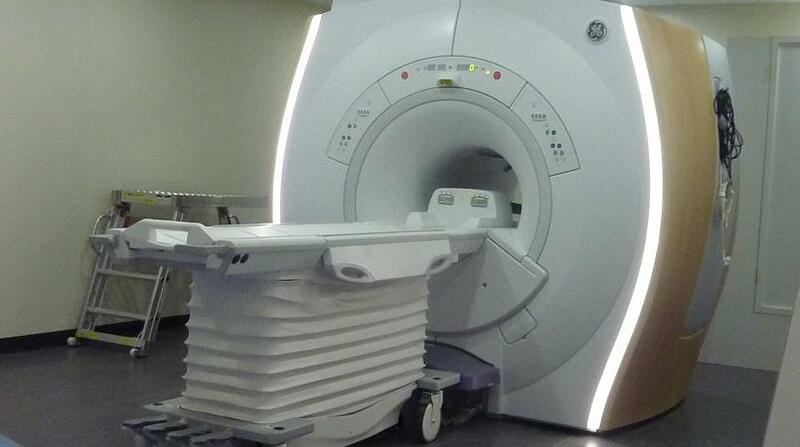 The Radiology Department now has a 1.5 Tesla MRI scanner, a 128 slice ultrafast CT scanner and digital mammography. 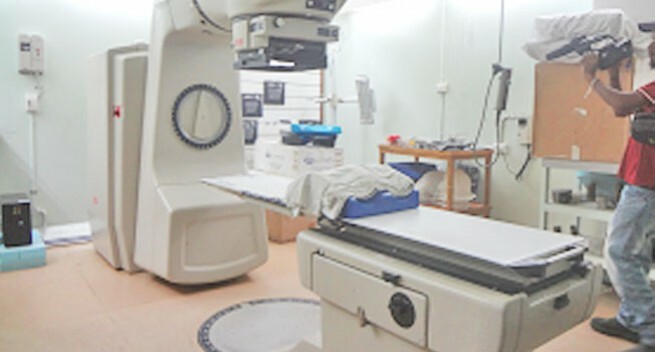 The department also has a full-fledged digital radiography with an IT system that enables the doctors to see the images immediately right at the bedside or in clinics. Minister for Fisheries and Marine Resources Mao Zeming said MRI is a significant advancement in healthcare in PNG and NFA is proud to be associated with POMGH. While soft drinks are easily purchased on every street in the Port Moresby city not many people are aware of the effects of drinking this much loved drink. These sweet drinks are the cause of dental decay, infertility and sores just to name a few. Yes its true soft drinks are acidic and yes it does erode enamel. If taken on a regular basis the acid found in these sweet drinks has dissolving agents that will eat the enamel found in teeth away. 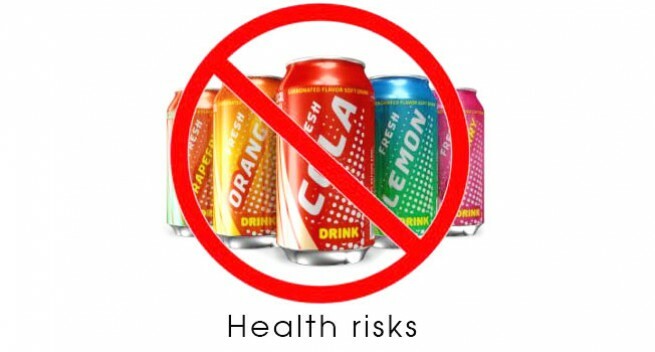 Yes soft drinks can cause infertility. The chemical called BPA found in a all soft drinks is a toxin that is currently causing obesity, infertility, increased miscarriage, polycystic ovary and reproductive cancers. 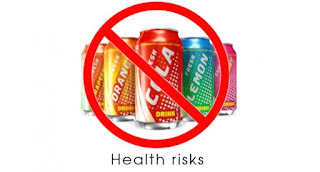 It’s true that soft drinks do cause nasty skin lesions, memory loss, nerve disorders and lack of muscle coordination. So for all you soft drink lovers it’s time to get off this energy roller coasters and try a soft drink free life! 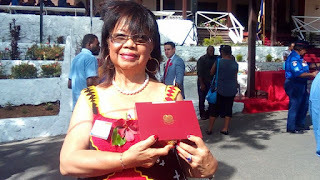 Nurses in Southern Highlands are pleased after a K2 million nurses accommodation funded by the Papua New Guinea Nurses Association (PNGNA) was launched on Tuesday. Only 12 nurses and their families will occupy the 12 units. The nurses were confident that in future, their accommodation problem would be addressed and this was the start. 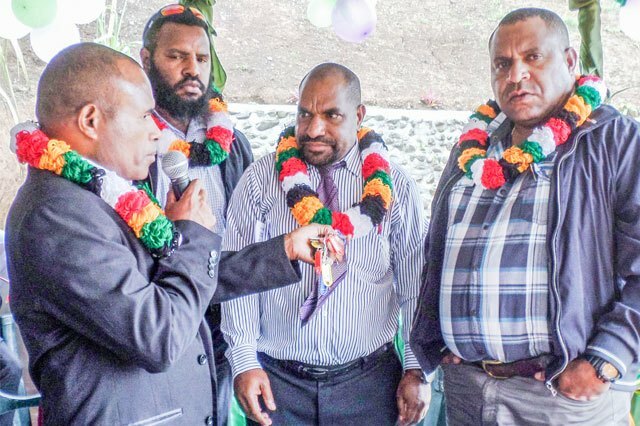 PNGNA acting national-vice president Frederick Kebai said the nurses’ accommodation were funded through a submission made to the Somare-Temu Government in 2006. He said the then Health Minister Sir Peter Barter pushed for it on behalf of PNGNA. 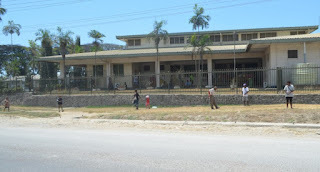 A funding of K15 million was allocated but there was a change of Government resulting in the delay of funds until 2012 when the funds were finally released. Mendi – K2 million, project has now been completed and is ready with 12 units to house the members. Southern Highlands Provincial Health Authority chief executive officer Dr Joseph Birisi thanked PNGNA for their confidence in the former Mendi General Hospital board and giving the pilot project. THE government should put its resources where its mouth is given the current situation faced at the National Cancer Centre in Lae. 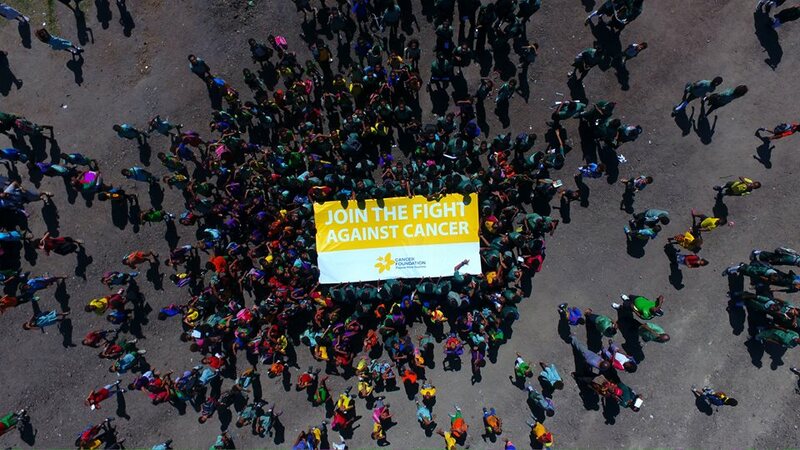 Recently the Health Minister Michael Malabag in a page media statement said cancer treatment and support in PNG is now a priority for the government and the department of Health. 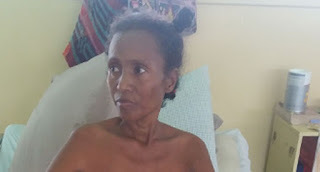 And while the Health Department and the cancer management has the road maps to holistically address the growing needs of cancer patients and treatment in PNG, the bleak reality is where is the money to make it happen? George Otto, the cancer centre manager, said yesterday when refuting a statement on the cancer service issue by Elias Kapavore the chairman of the special parliamentary committee on public sector reform and service delivery. He said Mr Kapavore’s claims were factually incorrect. Mr Otto said the statement was destructive and Mr Kapavore and his committee should be helping and not pointing fingers. He stressed that cancer has no funding, adding that the cancer management had the action plan in place for K16.2 million to effectively administer the service annually. Former Radiation Oncologist Doctor John Niblett says during his time at the Cancer Centre he invited colleagues from overseas to do voluntary work at the Centre. He said a Dr Anthony Knittle visited to calibrate the cobalt machine and help radiation therapists in computerized planning every four months, Chris Walsh senior tutor in radiation therapy at the Royal Brisbane hospital upgrade training of radiation therapists and Catherine Beaufort senior Tutor at Alfred hospital in Melbourne helped upgrade training of PNGNCTC Radiation therapists and teach students of radiation therapy at the University of Technology and Ian Lynch a senior Radiation Therapist who had worked in Australia, New Zealand and Vietnam visited the cancer centre during his time to help for free. 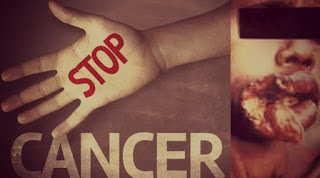 The World Cancer Day falls on Saturday February 4, and we wanted to celebrate this day by putting together this article to help in raising awareness about cancer in our country. Have you ever wondered how a person develops cancer? To start with, we know that cancer is a disease caused by an uncontrolled division of abnormal cells in a part of the body. But how does cancer form in a person? To answer that question, one has to understand the genetics of cancer. Genes are found in the DNA in each cell that makes up your body. They control how the cell functions, including how quickly it grows, how often it divides, and how long it lives. Researchers estimate that there are 30,000 different genes in each cell. Genes are located on 46 chromosomes, which are arranged in two sets of 23 chromosomes. You inherit one set of chromosomes from your mother and one set from your father. One chromosome in each set of 23 determines whether you are female or male. The other 22 chromosome pairs, called autosomes, determine your other physical characteristics. Genes control how your cells work by making proteins that have specific functions and act as messengers for the cell. 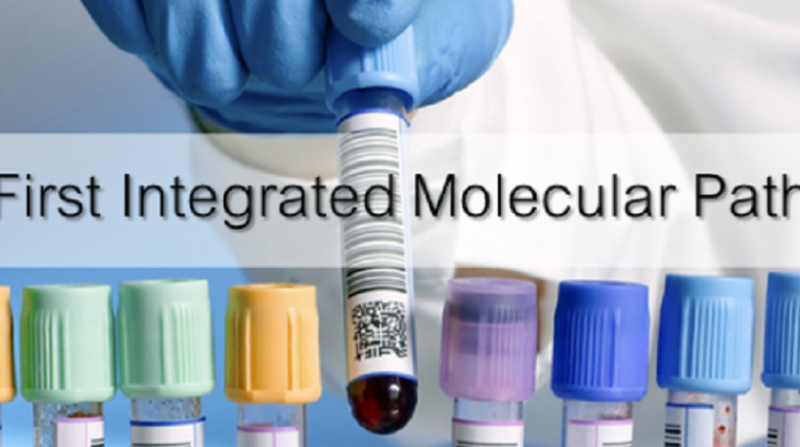 Therefore, each gene must have the correct instructions or "code" for making its protein. This is so the protein can perform the correct function for the cell. All cancers begin when one or more genes in a cell are mutated, or changed. This creates an abnormal protein or no protein at all. An abnormal protein provides different information than a normal protein, which can cause cells to multiply uncontrollably and become cancerous. Acquired mutations are the most common cause of cancer. These occur from damage to genes during a person’s life. They are not passed from parent to child. 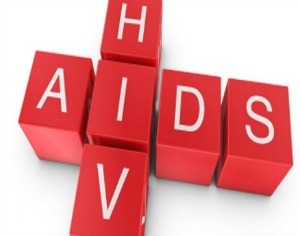 Factors such as tobacco, ultraviolet (UV) radiation, viruses, and age cause these mutations. 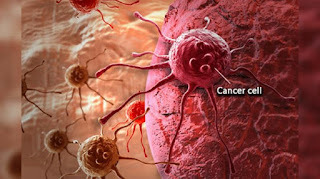 Cancer that occurs because of acquired mutations is called sporadic cancer. Germline mutations, which are less common, are passed directly from a parent to a child. In these situations, the mutation can be found in every cell of a person’s body, including the reproductive sperm cells in a boy’s body and egg cells in a girl’s body. Because the mutation affects reproductive cells, it passes from generation to generation. Cancer caused by germline mutations is called inherited cancer, and it makes up about 5% to 10% of all cancers. Mutations happen often, and the human body is normally able to correct most of them. Depending on where in the gene the change occurs, a mutation may be beneficial, harmful, or make no difference at all. So, one mutation alone is unlikely to lead to cancer. Usually, it takes multiple mutations over a lifetime to cause cancer. This is why cancer occurs more often in older people who have had more opportunities for mutations to build up. Tumor suppressor genes are protective genes. Normally, they limit cell growth by monitoring how quickly cells divide into new cells, repairing mismatched DNA, and controlling when a cell dies. When a tumor suppressor gene is mutated, cells grow uncontrollably and may eventually form a mass called a tumor. BRCA1, BRCA2, and p53 are examples of tumor suppressor genes. Germline mutations in BRCA1 or BRCA2 genes increase a woman’s risk of developing hereditary breast or ovarian cancers. The most commonly mutated gene in people who have cancer is p53. In fact, more than 50% of all cancers involve a missing or damaged p53 gene. Most p53 gene mutations are acquired mutations. Germline p53 mutations are rare. The ras family of genes, which make proteins involved in cell communication pathways, cell growth, and cell death. DNA repair genes fix mistakes made when DNA is copied. But if a person has an error in a DNA repair gene, these mistakes are not corrected. And then they become mutations, which may eventually lead to cancer. This is especially true if the mutation occurs in a tumor suppressor gene or oncogene. Mutations in DNA repair genes can be inherited, such as with Lynch syndrome, or acquired. Despite all that is known about the different ways cancer genes work, many cancers cannot be linked to a specific gene. Cancer likely involves multiple gene mutations. Some evidence also suggests that genes interact with their environment, further complicating genes’ role in cancer. Doctors hope to continue learning more about how genetic changes affect the development of cancer. This knowledge may lead to improvements in finding and treating cancer, as well as predicting a person’s risk of cancer. 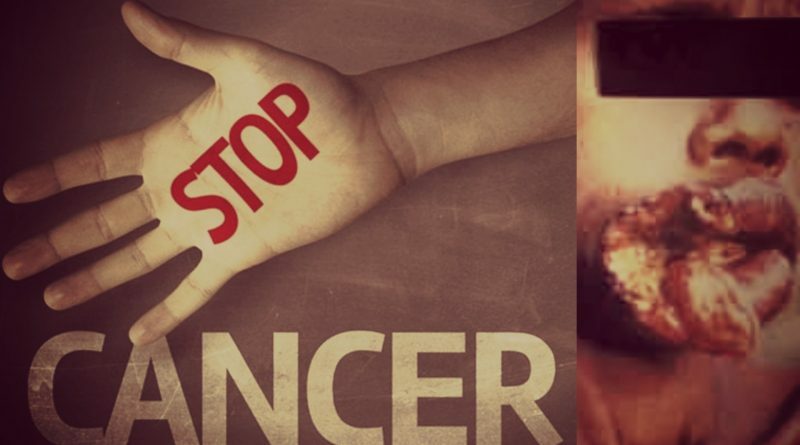 World Cancer Day is February 4, Saturday. Over the weeks, Loop lifestyle will bring more information on cancer. A second stakeholder’s workshop held earlier this week was to review the preliminary results of the country situational analysis. The workshop was also to discuss the way forward on combatting AMR in PNG. 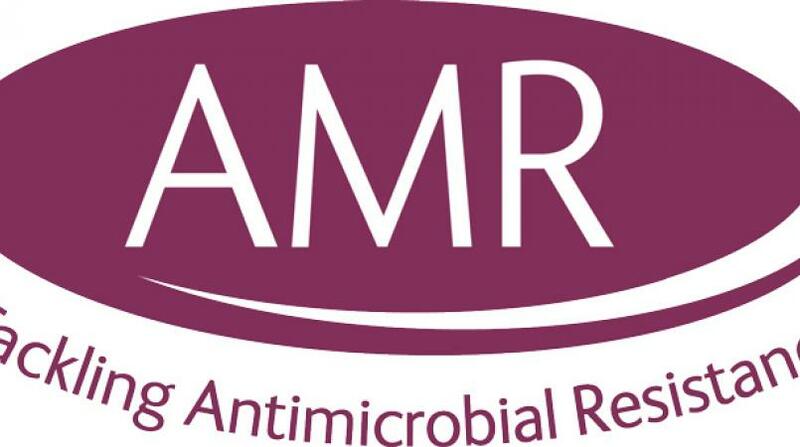 Antimicrobial Resistance (AMR) is currently a priority agenda for the Department of Health of Papua New Guinea. This is supported by the priority actions listed in the Action Agenda for Antimicrobial Resistance in the Western Pacific Region, which was endorsed by the Sixty-fifth session of the Regional Committee for the Western Pacific Region as well as the Global Action Plan on AMR endorsed at the World Health Assembly in May 2015. The Global Action Plan on Antimicrobial Resistance urges all WHO Member States to develop National Action Plans on AMR by May 2017. In collaboration with NDOH, a country situation analysis has been conducted and a multi-sectoral national action plan on AMR drafted in 2016. This workshop aimed at build on the active dialogue among key stakeholders related to combating the emergence and spread of antimicrobial resistance in Papua New Guinea and to establish a clear way forward in addressing this issue. Participants included representatives from the relevant sectors notably human health, animal health and production, and the food and environment sectors. A key element discussed in the workshop is advocacy and breaking the message down for the bulk of our population. The Papua New Guinea National Department of Health (NDoH) and The Rotary Club of Boroko Inc has welcomed the arrival of the Gardasil vaccination against Cervical Cancer today in Port Moresby. The Gardasil vaccination, also called Human Papilloma Virus (HPV) vaccine, enables the body to protect itself against most types of cervical cancer and genital warts and is most effective when given to young girls before the onset of sexual activity. HPV is one of the main contributing factors to cervical cancer. Eligible girls will receive two doses of the vaccination 6 months apart. At the airport to receive the 3 pallets of vaccines were Dr Edward Waramin (NDOH Adolescent Health Manager), Dr Julia Stinshoff and Johnny Arava (NDOH Acting EPI Manager). 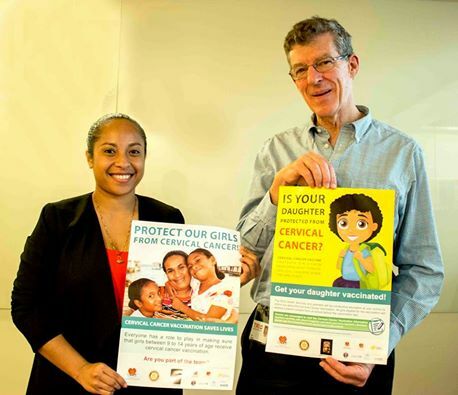 The HPV Vaccination pilot is a project working in partnership with the Rotary Club of Boroko, NCD Health Services, US Embassy, Papua New Guinea Cancer Foundation (PNGCF) and other stakeholders. PNG is thought to have among the highest burdens of cervical cancer globally and it is estimated that 1500 women die every year of cervical cancer in PNG. 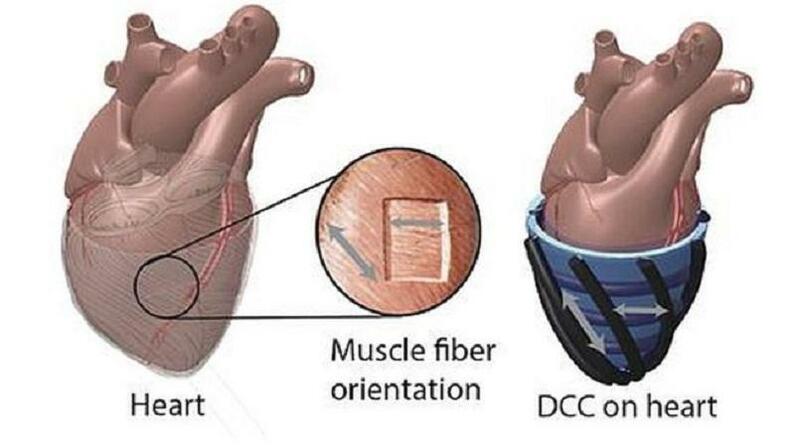 Scientists have developed a robotic sleeve that can help hearts pump when they are failing. The sleeve - made of material that mimics heart muscle - hugs the outside of the heart and squeezes it, mimicking the action of cardiac muscle. The early study, published in Science Translational Medicine, shows the concept works on pig hearts. The British Heart Foundation describes it as a "novel approach" that requires further trials. Over half a million people in the UK have heart failure. It is a long-term condition that gradually gets worse over time. For people with the illness, the heart is unable to pump blood around the body properly - most commonly because cardiac muscle has been damaged, after a heart attack, for example. Scientists based at Harvard and the Boston Children's Hospital, and in Leeds, say their soft sleeve was inspired by the actions and structure of real heart muscle. The silicon-based device stiffens or relaxes when inflated with pressurised air. Fixing it around six pig hearts, scientists found they were able to synchronise the sleeve with each heart's shape and movements. The study shows the robotic sleeve helped boost the amount of blood being pumped around the body. And when the hearts stopped beating, the sleeves helped restore blood flow. Currently, mechanical devices can be implanted in the heart to help it pump. But because they are in direct contact with heart tissue, the body can react to them - leading to the risk of dangerous blood clots. Researchers argue their sleeve could help cut this risk by "hugging" the outside of the heart rather than being implanted inside it. But they acknowledge their research is still at an early stage and much longer-term animal studies and then human studies would need to be carried out before it could be used in patients. Christopher Allen, senior cardiac nurse at the British Heart Foundation, said: "People living with end-stage heart failure are in desperate need of symptom relief, and some will even require a heart transplant. "We currently don't have enough hearts available to meet the needs of those who require a heart transplant, so we're always looking for innovative new ways to buy time to give people the best chance possible of receiving a new heart and a new lease of life. "This early research suggests a novel approach to help support heart function, and it will be interesting to see if this translates successfully in human trials in the future."